So, why am I so excited about Jumpstart3?? Because they are coming to my town. In just 2 weeks. Wow! Just 2 more weeks! 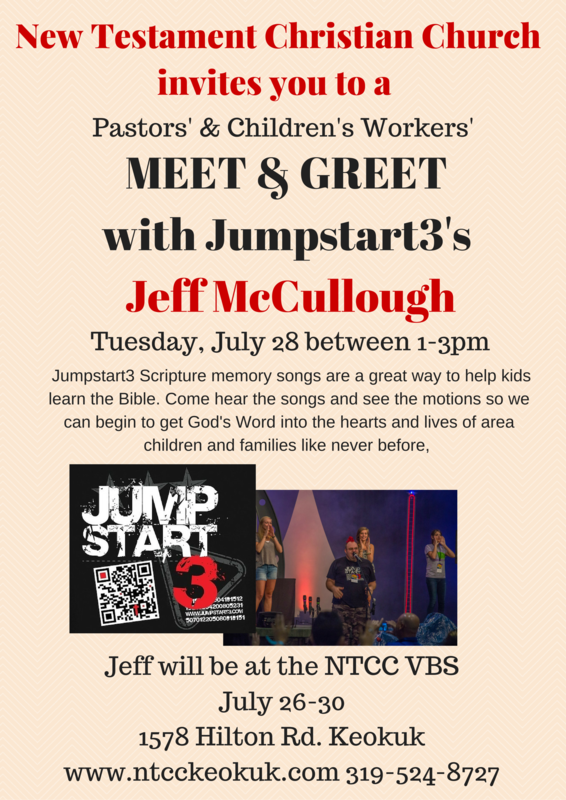 That fact, in and of itself, is more than enough reason to be excited, and we are excited to be hosting Jeff McCullough of Jumpstart3 for our upcoming week of VBS. But, there’s more! This past February, I met Jeff at the Children’s Pastors Conference in California. We actually just “passed” each other and that was about it. I was walking into the vendor room to meet up with the crew from Kidology while Jeff was setting up his booth for Jumpstart. We shook hands, I asked him if he had seen Karl Bastian, and then I didn’t really see him again to talk. Although, I did get to watch him lead some super fun worship at CPC one night! Jeff seemed to be everywhere and wherever that everywhere was there were people around getting excited about Jumpstart3’s Scripture memory songs. I have to admit I never really made it to his booth, but I’d already downloaded some of the songs on iTunes before and liked them. However, it is just recently that I’ve really began to love them. 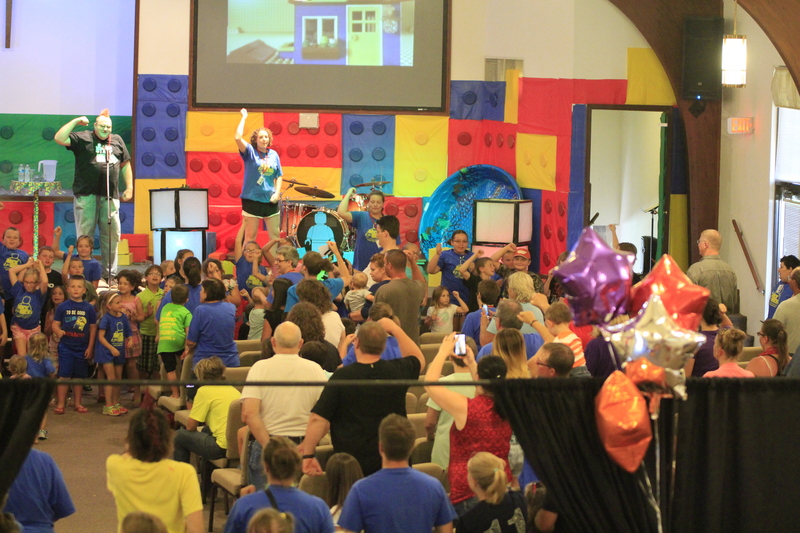 This spring, God put it on my heart while planning VBS to invite Jeff to come to Iowa to share with HiSKidZ here. We have had some fun conversations and quite a bit of phone tag as we have planned and prayed about the week. He has gone out of his way to make sure that this week will be one our families will never forget. Last Friday and Saturday, we used the “Matthew 7:24” song with a group of 3rd graders at our church camp’s Overnighter Camp and, well, words just can’t express what we experienced. 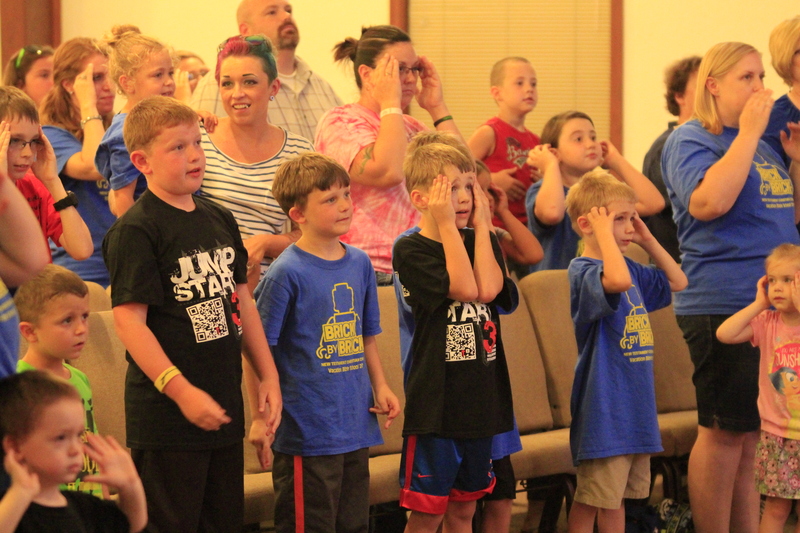 Not only did our 65+ 3rd graders learn the verse by song, they learned to say it, and they loved it. It didn’t hurt that it rained like a big dog most of the session!! So that when we sang, “The rains came down; the streams rose, the winds blew and beat against that house, yet it did not fall, yet it did not fall, yet it did not fall. –Because it had it’s foundation on the ROCK!” with the rains coming down in full force on a metal roof with the winds blowin’ and beating against our building, we all knew we wanted to be like wise men who built our houses on the rock! If you haven’t discovered Jumpstart3 yet, I can’t encourage you enough to check them out and begin to let the Word of God soak into the hearts and minds of your kids. If you happen to be around my neck of the woods in Southeast, Iowa, we’re inviting area pastors, children’s pastors and volunteers to a meet and greet with Jeff on Tuesday, July 28 anytime between 1 and 3pm. We’d love to have you stop in for some encouragement, blessing and to learn a little more about what Jumpstart3 is all about!! Got kids? 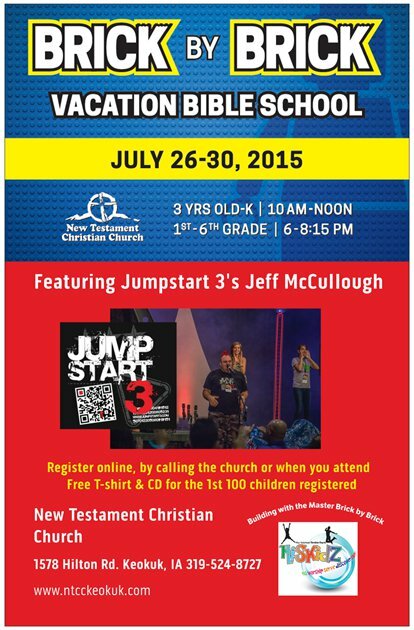 Consider joining us for VBS at New Testament Christian Church. 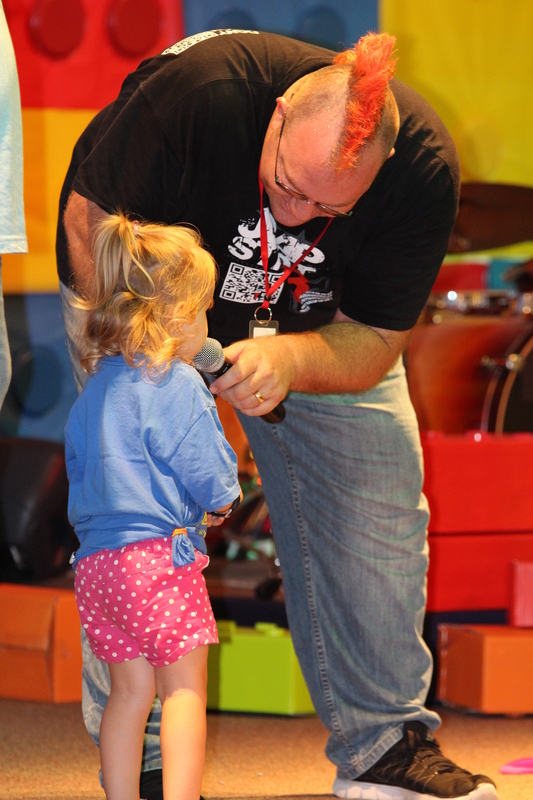 3) Rediscover the simplest things to connect kids to Jesus and His Word. Things, for example, like cheese balls. Our small group happened to be one of the winners and so as the kids practiced tossing cheese balls into their own and each others mouths while enjoying what they decided was one of the best prizes ever, an idea came to mind. Still having plenty left (because there are like a million cheese balls in a container), we decided to use them as an incentive for a Bible search time. We are studying Psalm 23, and as part of our small group time, we were looking up verses that referenced God as a good shepherd. We divided up into groups of two, pairing a stronger skilled student with a newer student, and set the following rule. First group to find the verse got 3 cheese balls, 2nd place got 2 cheese balls, and 3rd place got 1 cheese ball. I mean, kind of. 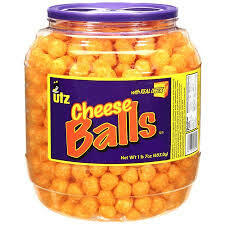 They are after all, just cheese balls, right? Obviously not. Because I completely underestimated how excited they would be to win cheese balls. From our least to our most experienced, every student was looking up verses. There did not appear to be any insecurity, fear, or timidity. Just a reckless abandon to find that verse and get some cheese balls!! We laughed as they raced to find these precious nuggets of truth as well as some (well, to them, anyway) precious nuggets of cheesy goodness. At the end of the night a team of boys beat out one of the girls groups by one verse, thus winning the remaining bag of cheese balls!! Joy unspeakable!! My co-leader, Heather, and I went away reminded again that God often uses the simplest things to draw us to Him and His Word. So if you’ve been on the lookout for something to spark your kids interest in God’s Word, consider grabbing a buck fifty for some cheese balls and see if your kids love this idea as much as ours did! God is with you everywhere! 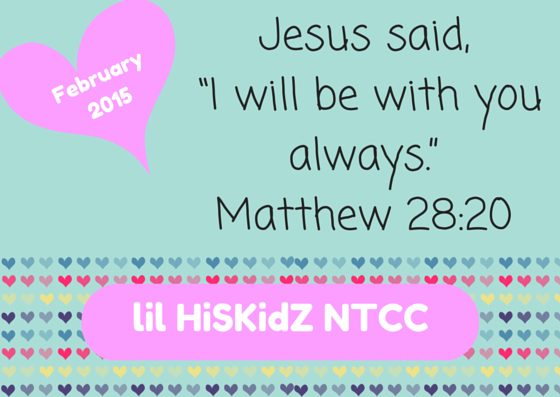 That’s been our preschoolers’ theme this month. If you who know me, you know I love a good theme snack–especially when it comes to preschoolers. 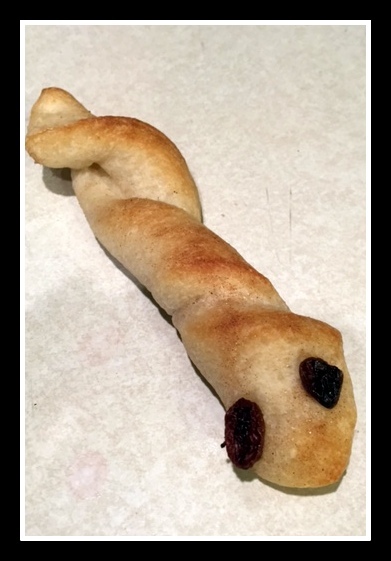 So before we dig a littler deeper, I hope you get a kick out of these snakes snacks we made our “littles” had this week. So simple, just a bread stick wrapped around a skewer. I sprinkled them with a little cinnamon sugar and used raisins for eyes!) They were super fun and, well, and they were super delicious! 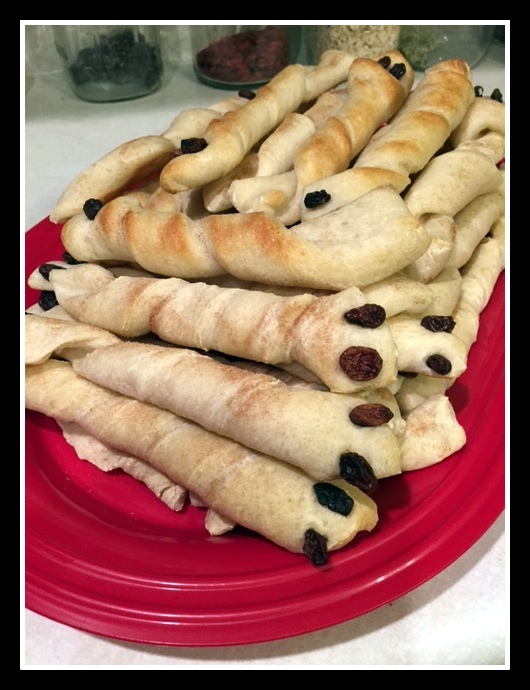 Thank you, Pinterest and Pillsbury Dough Boy for another preschool snack win! Yikes! There are vipers on the island!! The superstitious islanders wrongly conclude that Paul must have been a murderer. They reason that even though he escaped alive from the shipwreck at sea, for cryin’ out loud, someone’s pretty upset with him because he’s about to die from viper bite. The islanders watched and waited. I can see that. In fact, I’d like to have seen that. This leads those hospitable islanders to invite Paul and some others to the home of the chief official of the island. Here, Paul winds up healing the man’s father along with the rest of the sick on the island. When they were ready to sail again, the kind folks on Malta gave them everything they needed. In other words, Paul after being bitten by a viper, just shook that snake off and kept doing ministry. What??? That’s awesome!!! Completely and totally awesome!! Now I’m just tellin’ ya, that’s not how I would have handled it. But isn’t his way so much better than mine? Ministry can be tough. Using the term “ministry” for those who are in paid and non paid ministry, I have always believed we are all called to be ministers of the gospel. And when we follow Jesus, snakes bite. It would do us well to learn to use the viper response method of the infamous “Mr. Paul.” But paid or volunteer, I’m pretty sure that if a viper bit me, I would be running around screaming, and then sitting down waiting for the ill effects to take place hoping someone is praying and someone else is calling 911. When spiritual snakes bite, I’m afraid that many of us, myself included, forget the simple, yet profound, message of our preschoolers’ lesson: “God is with us everywhere!” He is here. He knows the danger of the poison, but He’s got our back and we can go on walking in trust. Because when people see us walking in faith and victory, although they may be a bit confused, they will be able to see firsthand the power of God at work. So when the snakes bite, and they will, remember that God is with you everywhere, and He is more than enough to enable us to shake it off and continue serving in ways that bring Him honor in all we do.